Can a Chilean forestry company revive Grayling? GRAYLING — Once the playground of lumber barons, Grayling is probably more familiar to travelers as a freeway exit on the way to someplace else. A Chilean forestry company’s $400 million particleboard factory just south of town is poised to transform the area’s economy. And its arrival may offer lessons for other Michigan towns on how to revive their financial fortunes. A year from now, Arauco promises, its plant, now under construction near Interstate 75, will provide upwards of 200 jobs for a city and a region sorely in need of an economic jolt. Up to 1,000 additional workers will be hired in the shorter term to build the 820,000-square-foot factory, roughly the size of Buckingham Palace. Arauco’s arrival is expected to help salve a number of the county’s ills, from above-average unemployment (5.9 percent) and sluggish income (less than $23,000, per capita), to a persistent housing shortage in and around Grayling. The project is being hailed as a model for how struggling regions across Michigan can benefit when government, business, education and civic leaders join forces to make their community more inviting to outside investment. The forestry company first approached state officials a couple of years ago with ambitious plans for its first Michigan plant — a state-of-the-art factory that would make particleboard and composite panels, the kind used in the desks and coffee tables sold at stores like Swedish furniture retailer IKEA. In the years B.A. — Before Arauco — businesses and government agencies in the region shared common goals, but they acknowledge now they didn’t truly collaborate. That began to change when Arauco began poking around Crawford County. Rick Harland, supervisor of Grayling Township, where the factory is being built, said he received critical help and strategic support from the Michigan Department of Natural Resources, down to county and Grayling city administrators. The city of Grayling is a familiar pit stop to anyone traveling I-75 amid the forests and streams of northern Michigan. And that’s been part of the challenge for this city of 1,800. In a bid to revive a moribund downtown, and create a place where younger people want to live and work, Grayling has recently produced an influx of craft breweries and a wine bar, with plans in the works to expand its farmers’ market by adding a food business incubator modeled after Detroit’s Eastern Market. Yet, like many Michigan towns, Grayling continues to lack enough job opportunities or market-rate housing to lure the young talent it needs to thrive. The company’s North American division broke ground on its factory in April. Already, Kirtland Community College is planning to expand a barely-year-old campus down the road from the factory to add coursework that teaches skills for the forestry industry. Some local leaders believe Arauco could recruit from a radius of 50 to 60 miles or so for the production operators, millwrights, electricians and other workers it will need to staff the plant. Gov. 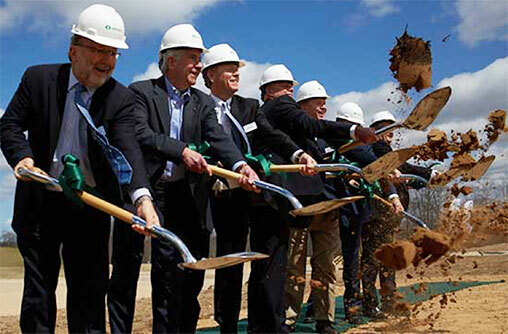 Rick Snyder, second from left, participates in a ground-breaking ceremony in April for the Arauco factory just south of Grayling. Downtown boosters say Arauco is creating market demand to help tackle other challenges, including convincing developers to build new, middle-income housing. And south of town, local and county government administrators see the promise of more industrial and commercial development — which may include, for better or worse, big-box stores. In 2015, Gov. Rick Snyder’s administration included Grayling in its inaugural Rising Tide program, which targeted 10 economically struggling communities — from River Rouge to Newberry — to help them learn to tackle strategies for economic growth. In Grayling’s case, that has meant bringing government, business and workforce leaders to the same table to identify the region’s biggest needs and find ways to meet them. Some of these groups say the program marks the first time they can remember that decisions about Grayling’s future have been made as a community. “In their own focused way, they were accomplishing the objectives of their organization solely, as opposed to looking at the bigger picture,” Dan Leonard, of the Michigan Economic Development Corp., said of Grayling’s old way of doing business. Local leaders are now leveraging the Arauco plant to coordinate ways to boost other parts of its economy. The rest, she says, will follow. Grayling’s location, amid forests and near two major rivers, helped it prosper as a lumber town in the 19th and early 20th centuries. It’s named for a once-native species of fish, the grayling, that disappeared from local waters more than 50 years ago. Turns out, the timber barons’ practice of filling rivers with cut logs was not conducive to the lifestyle of the fish. The region nonetheless remains a popular spot for canoers and anglers, who fish for trout in the Au Sable and Manistee. The forest products industry remains a significant part of the local economy, though on a smaller scale. Some in town say the arrival of Arauco is like coming full circle, with lumber once again creating economic opportunity. Jeremy Hendges, chief deputy director in the state Department of Talent and Economic Development, said Grayling’s participation in the Rising Tide program set the foundation for hooking Arauco. The state helps communities participating in the program develop an economic plan. 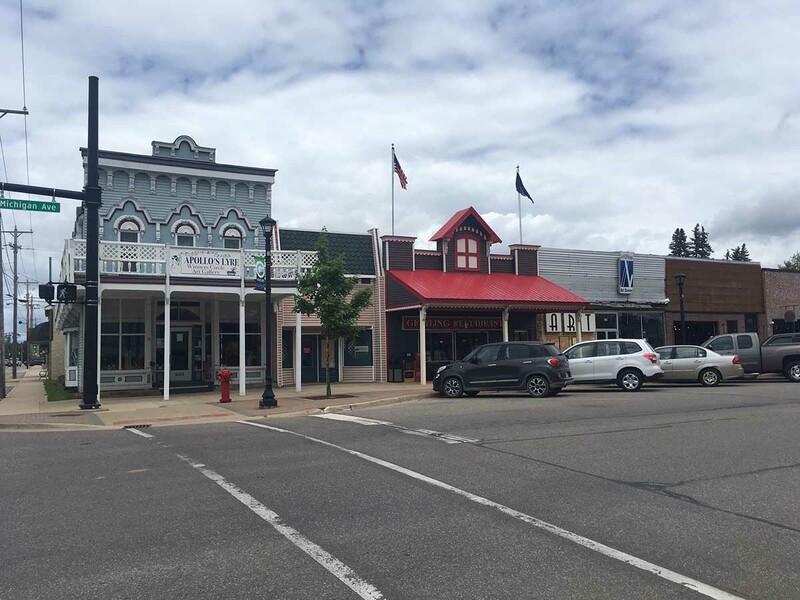 The reality is that in many of these towns, overworked employees serve multiple roles, attributed both to shrinking payrolls and poor succession planning when staffers retire. The state provides local leaders with technical help while encouraging towns to identify “champions” in and outside of City Hall to develop and sustain momentum once the state leaves the room. In addition to housing, leaders in Grayling say residents need more child-care options. So employers, downtown business leaders and others are working together to explore daycare possibilities, according to Leonard, of the MEDC, a perk businesses can use to attract and keep young, talented workers. These community-wide discussions also revealed other needs. For example, the DNR noted that there are 12 companies in the forest products industry in Crawford County alone, with as many as 850 employees combined among them. Arauco would be the 13th. That was news to the local community college. “You start to add all that up and say, ‘Wait a second, I’ve got pretty close to 1,000 people here,’” said Tom Quinn, president of Kirtland Community College in Roscommon, which opened a Grayling campus last year. The college is now designing courses that it hopes will land graduates with a local forestry business. Tom Quinn, president of Kirtland Community College, has led efforts to expand course offerings to help students land a job with Arauco or other forestry products companies in Crawford County after they graduate. Globally, Santiago, Chile-based Arauco does $5 billion in annual sales, with about $1.3 billion of that in North America, said Jake Elston, vice president of operations for Arauco North America, which has its headquarters in Atlanta. The company employs about 14,000 people globally and 1,500 in North America. Grayling’s facility could hire as many as 250 workers when it’s operating at full capacity, Elston said. Today, Arauco has nine plants in North America, Elston said. Grayling will make 10. The plant will operate the industry’s largest single continuous particleboard press. Arauco first scouted for property on the West Coast and Southeast regions of the U.S., where it already has plants. Grayling won it over because of the region’s proximity to producers of ready-to-assemble furniture in neighboring Great Lakes states and Canada. Its customers include IKEA, Rubbermaid, Archbold, Ohio-based Sauder Woodworking Co. and office furniture manufacturers like Grand Rapids-based Steelcase Inc.
Grayling also had other factors working for it. It’s close to lumber sources, particularly sustainably managed forests, and resin, an adhesive used in manufacturing, which Atlanta-based Georgia-Pacific LLC makes at a chemicals plant down the road from Arauco’s new factory. And Arauco said it found a receptive government audience in Michigan, from economic development to natural resources. The state DNR sold 600 acres of state forest land to Arauco for $840,000, said Bill O’Neill, forest resource division chief and state forester. The money was invested into a fund the DNR can use to buy property or spend on building improvements. The MEDC awarded Arauco North America an $11.8 million property tax incentive, known as a forest products processing renaissance zone. The incentive is designed for companies that use wood or residual lumber, such as sawdust, to make products that can be sold to manufacturers or customers, or to make biomass or other alternative fuels. Arauco’s incentive will last for 13 years. Under the deal, Arauco will begin to pay taxes in the 11th year, in 25 percent increments until it reaches 100 percent payment in year 14. The MEDC said Arauco also will benefit from $1.8 million in tax savings because its manufacturing equipment won’t be subject to a statewide assessment that replaced Michigan’s phased-out personal property tax. Arauco will be a registered C-corporation, according to the MEDC, meaning it will pay Michigan’s new 6 percent corporate income tax. Joe Wakeley, Crawford County’s treasurer, said he doesn’t anticipate Arauco will hire only from within the county. Even when it goes outside, those workers will still spend money on gasoline and other items in the area. Arauco’s goal is to hire locally as much as possible, said Lloyd Hotchkiss, who will be the Grayling plant manager. Most of the hiring will be done early next year. Arauco has not disclosed the number of hourly and salaried positions it will hire for, nor how much it will pay. The average manufacturing job in Grayling starts out at about $11 per hour, said Alayne Hansen, a business services professional for the Michigan Works Northeast Consortium, which serves Crawford County. The company has advertised for a number of supervisory roles, including electrical and mechanical maintenance leaders, a production manager and a purchasing agent. It says the Grayling facility also will need plant production operators and people with skilled trades experience, including millwrights and electricians. To that end, the jobs will require some education or prior training — either three years of related job experience for candidates who only have a high school diploma, or postsecondary training, according to the company’s website. “They made it perfectly clear that it’s not a job that people are going to come in with no experience. They’re not going to step out of high school and get a job,” Hansen said. 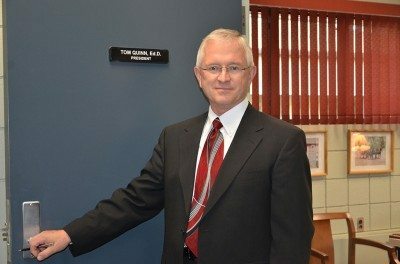 Quinn, the community college president, said he has board authorization to spend up to $9 million to expand its Grayling campus to teach students about the science of wood and how to operate the type of automated machines and sensors used in the forest products industry. The planned expansion would add at least two new labs and more capacity for tutoring services. Quinn hopes campus construction can start “as soon as the frost comes out of the ground” in 2018, with the first classes ready for the winter semester in 2019. The MEDC’s incentive is estimated to waive just over $909,000 that Arauco would otherwise pay in property taxes each year for more than a decade. Yet, according to Wakeley, landing a company its size outweighs the financial hit. It better. Crawford County already operates with a smaller tax base, with roughly 70 percent of its property owned by the state or federal governments, including protected forests and the Michigan National Guard’s Camp Grayling training center. Government-owned land generally produces less revenue than land in private hands and is not available for housing or commercial development unless state or federal agencies release it for that purpose. That leaves the county with a limited pool of property to market to developers. That’s partly why Wakeley and other local government administrators, including Harland of Grayling Township, are excited about prospects for future development along Four Mile Road. Several leaders told Bridge that multiple trucking companies are considering locating along the Four Mile Road corridor near the plant. Townships that straddle Four Mile also created a joint authority with plans to run municipal water and sewer service through the area. The $7 million project is expected to be backed by federal grants and loans, and financed by special assessments billed to companies that tie into the system, including Arauco, Wakeley said. If all goes well, the system could be up and running by the spring of 2018. Why couldn't this have been done by an American company? So once the Chilean company expressed an interest the local politicians got their act together? Now there is concern about Grayling maintaining it's "small town flavor"? What would be so bad about that, since it sounds more like it was struggling to stay alive. Weird conundrum. The DNR sold 600 acres of Michigan land to a foreign company for $840,000 dollars and then will give $11,800,000 (Million) back over 13 years. WOW what a deal. How could they not make big profits with Michigan’s resources (trees) on that? This is the same thing many of our U.S. Senators have done for years for the foreign auto and other industries but not our own. It is time America helps our own industries and to hell with foreign industry. America First, not America last. America should be courting American companies to invest and bring employment to their area, not foreign companies. Hmmm, didn't we just loan two of the auto companies gobs of money during the Great Recession? We did plenty to help that American industry - and good thing we did! The Republican candidate wanted to let them go under as I recall. I'll also go out on limb and say that American companies aren't stupid and could have expressed an interest in a similar project if they were so inclined. Good that this project is happening for Grayling - the sooner the better! Does Mr. Mack have any evidence that these incentives weren't available to American companies? Given a choice between Arauco building this plant and hiring the workers required, and no one doing so, what would he choose? Have Toyota paychecks ever been known to bounce? I assume there was a study on the environment with the venture. Seems this will cause a lot of logging? I'm happy that Grayling is revitalizing. My big question is this: the article talks about how previous forest industries destroyed local fisheries, but it doesn't really say how this one will be any better. Anyone have any details on their practices? I'd like to do an article about this for https://RevitalizationNews.com, but would need to know that first.